Moncigale is one of France's largest wine producers. 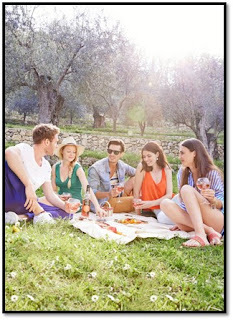 They are in the south of France and bottle wines primarily from Provence and Corsica. They have a bottling for the American market called Fruits and Wine, which delivers exactly what is advertised. This one, - Fruits and Wine, by Moncigale - is actual wine mixed with fruit juices and a little carbonation thrown in. It's not a bad little beverage, for what it is. I don’t often mix things with wine, but that’s because I want to experience what the wine has to offer. If it doesn’t offer much, mix. A recent report showed that 66% of consumers are "eager to mix wine with fruit/juices." 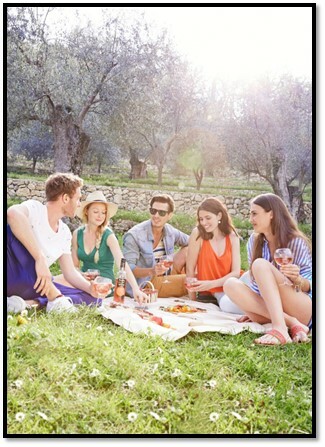 And Fruits and Wine is already a popular item at poolside parties in Provence, I’m told, so maybe the younger wave of consumers can be responsible for the return of wine coolers, as well as the onset of the $17 hamburger. Fruits and Wine is billed as a guilt free product with less sugar than a classic cola and less alcohol than the classic wine - it hits only 7% abv. It employs real fruit juice and no fruit syrup, according to the company. They seem to be targeting younger women I with this product, and possibly trying to act as a transition drink to get cider and craft beer drinkers to start exploring wine. Their website offers some tantalizing fun-in-the-sun shots and hits the notion that this is a "no fuss" alternative to actually pouring one thing into another. Homemade sangria, of course, is a lot more trouble than simply opening this bottle, so maybe they're on to something. The theme of freeing one's self, escaping confinement, recurs on the web page as well. It fits right into younger wine drinkers’ "no rules" attitude. I tried their Rosé and Grapefruit version, and I must say it's very tasty. It has a pretty and deep pink/orange hue and a nose that comes on like sweet candy. Its aroma reminds me rather of a Big Red soda, if you remember those. The flavors are similar to that soda as well, with a splash of grapefruit thrown in for a slight tanginess. The acidity is nice, falling just short of crisp. Although it's not what I want when I want wine, I can easily see this being a delightful sip on the back porch during a long, hot summer.